Although most people think cellulite is a medical condition, it really isn’t. It is nothing more than ordinary fat beneath the skin. The bumpy or dimpled appearance is due to fat pushing against connective tissue of the skin which makes the skin pucker. Cellulite is not harmful to a person’s health but is merely a cosmetic problem. It is a combination of two factors which are fat and collagen fibers. Cellulite is more common in women than men simply because the fat and collagen in a woman’s body is different compared to those found on a man’s body. Women have unique collagen fibers in the lower portion of their body. These line up vertically while men have crisscross structured collagen fibers. Some women have collagen fibers that are structured like men’s. This is the reason why some women don’t have cellulite. Just because you have cellulite doesn’t mean you’re fat or overweight. Even thin people can have cellulite. However, if you have excess weight, getting rid of it can reduce the appearance of cellulite. One of the main causes of cellulite is your genetics. Unfortunately, if your parents have cellulite then there is a high chance that you will also suffer from the problem. There are also factors that influence the visibility of cellulite which includes your metabolism, diet, physical activity level, hormone levels, total body fat and thickness/color of your skin. Does Diet and Exercise Reduce Cellulite? The answer to this very common question is yes. Diet and exercise can help you lose extra fat in the body which can reduce the appearance of cellulite. However, the effects are not as considerable. There are other options for reducing and eliminating the appearance of cellulite like using the best cellulite cream, laser treatments, Mesotherapy and special massages. People used to think liposuction can eliminate cellulite but research proved that it usually makes it worse. The best option to significantly reduce the appearance of cellulite is combining diet and exercise with the use of the best cellulite cream. This way, the effects will be quicker and more considerable. Cellulite creams work by targeting the main cause of cellulite which is the fat beneath the skin. Of course, you have to be careful in choosing a cellulite cream since there are so many products available. Cellulite will not completely disappear with diet and exercise alone. 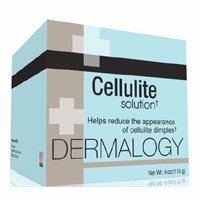 To get more significant results in less time, you should use the best cellulite cream. You can refer to cellulite cream reviews and feedback from actual people who have tried the products to determine which ones are the most effective. Remember to check the ingredients to see if they are clinically proven to be effective and free from side effects.